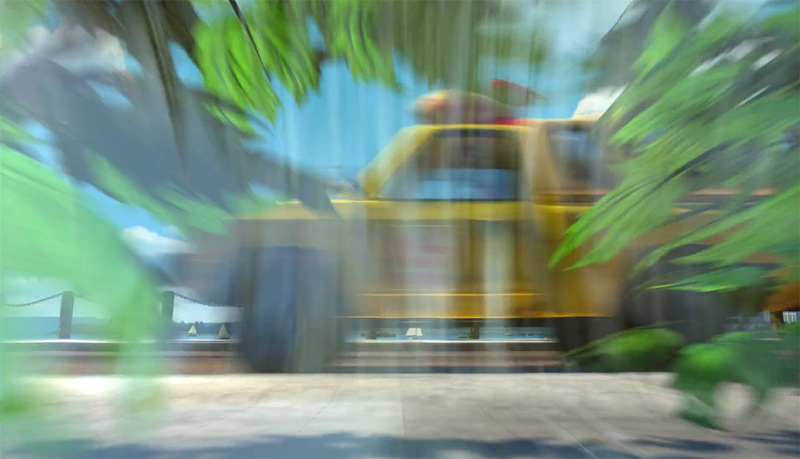 When Gill is explaining his plan to the Tank Gang you can catch a quick glimpse of the Pizza Planet truck from Toy Story. 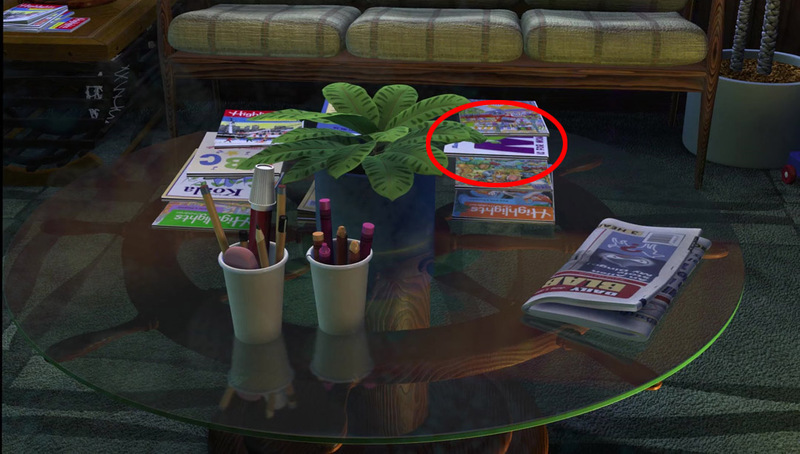 Mike Wazowski from Monsters, Inc is referenced a couple of times throughout the movie. 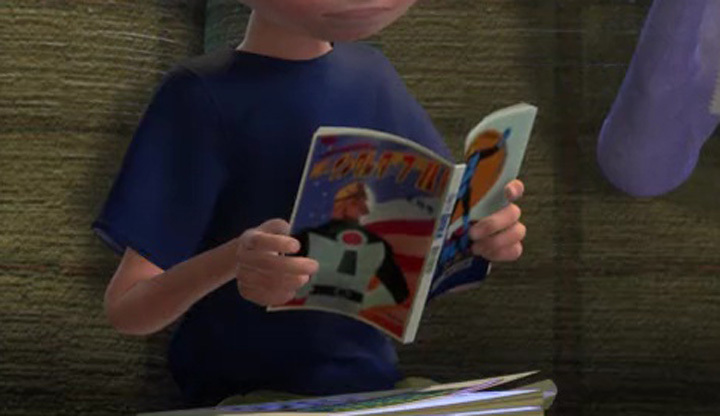 A boy can be seen reading a Mr. Incredible comic book in the dentist office lobby. 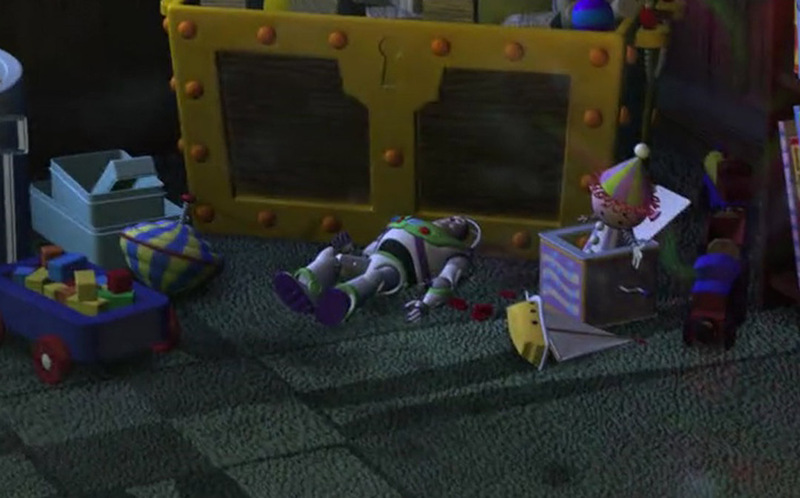 A toy of Buzz Lightyear from Toy Story can be seen in the dentists office. 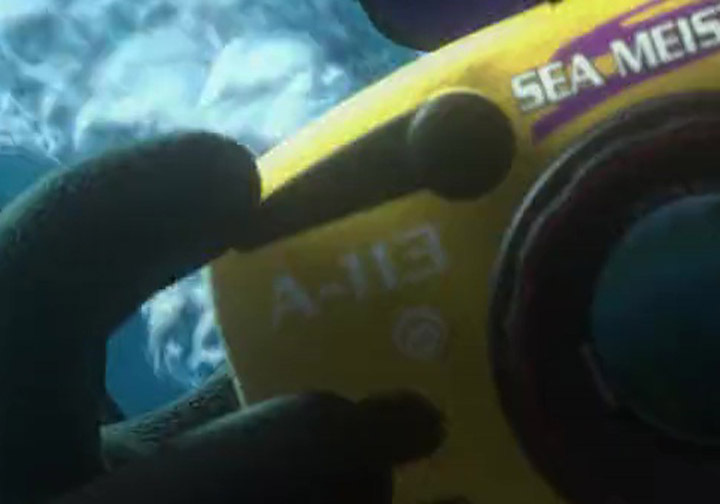 The famous recurring media easter egg, “A113” appears as a camera’s model number. 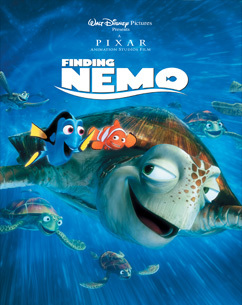 When Bruce the shark is chasing Dory and Marlin through a sunken submarine he traps them in a room and attempts to break down the door. Right before he breaks the door he peers through a crack at them and yells, "Here's Brucie!". This is a reference to the famous scene in the 1980's Stephen King film, "The Shining" where Jack cuts a hole into the door with an axe while attempting to kill his wife, puts his head up to the hole and yells, "Here's Johnny! ".